Failing to pay your tax bill can lead to big penalties. You can have your wages garnished, lose any future tax refund, and have your assets levied. If you fail to pay your tax bill by the date specified, the IRS may also file a lien against you. A lien is not the same as a levy. With a levy, the IRS will actually seize your property to sell it and pay off your tax debt. A lien just secures the government’s right to receive net proceeds from the sale of any real property in the county the IRS files the tax lien if you are not able to satisfy your tax debt. If you have a tax lien, you may have a hard time getting credit for the things you need, such as a new car or a new home. That means that you could have a hard time getting what you need to do business or to expand your holdings. Of course, the easiest way to get out from under the lien is to pay the taxes you owe in full. You may be able to sell an asset to satisfy the debt and avoid additional interest and penalties. Or you may be able to reorganize your other debt to clear up the money you need and pay off your tax bill. Explore all the options available to you to pay your tax bill in full as quickly as possible. The sooner you do, the sooner you can be free of the lien and any other penalties that may follow. By discharging your property, you are removing it from the lien. The lien will still apply to your other assets, such as your car or your retirement accounts. However, it will protect the property that you select, such as your family’s home. In order to qualify for the discharge, your other assets must be worth at least two times the amount you owe the IRS and any other debts you have. Other options are available to qualify for the discharge that look at how much you owe, how much you have paid, and what the value of remaining assets are. These formulas can be quite complex, so it’s best to work with a qualified tax lawyer when filing for the discharge so that you can be sure you qualify and that you have submitted the right paperwork. Subordination allows other creditors to move ahead of the IRS in priority for your assets. That means that you may still be able to apply for credit if the lien remains on your property. A common example of how you can use subordination is to get a refinanced loan on your property. There are other possibilities, and again, you really need to work with an experienced tax lawyer who understands the complex formulas and eligibility criteria used for subordination. Your attorney can make sure that you are using the right option to protect your property and that your calculations are correct. You can have the lien withdrawn but still remain liable for the tax you owe. One way you can be eligible for withdrawal is to agree to a direct debit installment plan that will pay your full text debt within 72 months and to stay in compliance with your repayment plan. Your debt cannot be more than $25,000, and you may not have defaulted on any previous installment plans. There are other ways that you can apply for withdrawal of the lien. The best way to apply, as always, is to work closely with a qualified attorney. 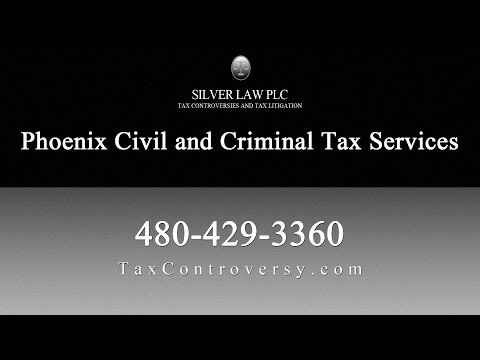 Silver Law PLC in Arizona can help you if you have an IRS lien attached to your property or if you are facing other penalties as a result of a tax you owe. Our attorneys have represented both individual and corporate clients in these and many other tax matters, including civil and criminal cases. Call us in Arizona today to talk with a tax lawyer in Phoenix about your property lien or another tax matter that you are up against now. We’ll explore all the options for helping you minimize the amount you owe and any penalties you face.